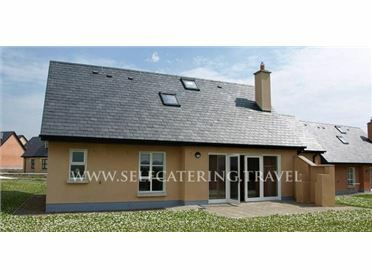 Bencorr is a wonderful, detached holiday home in Tully, County Galway, near the Connemara National Park. The house has three bedrooms; two double rooms, one of which has its own en-suite, and a twin room. There is also a family bathroom, a kitchen with a dining area and patio doors to the garden, plus a sitting room with a solid-fuel stove. The back garden is lawned and enclosed, with a picnic bench, so you can all relax in the sun and let the kids run around in safety. With lots to see and do, and the coastline nearby, Bencorr is a wonderful getaway for all. The seaside village of Tully is situated on the Renvyle Peninsula in County Galway. Set next to the Atlantic Ocean, the village has two bars, a post office, a supermarket and a horse-riding centre, as well as a music house. Across the bay are the mountains of Mweelrea and Croagh Patrick, and within easy reach are Connemara National Park, Kylemore Abbey, and Inishbofin Island. Oil central heating with solid-fuel stove. 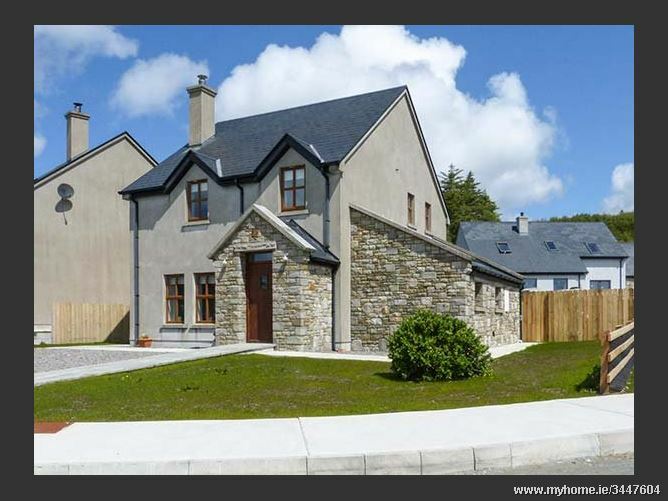 Electric oven and hob, microwave, fridge/freezer, washing machine, tumble dryer, dishwasher, TV with Saorview, WiFi, selection of books. Fuel, power and starter pack for stove inc. in rent. Bed linen and towels inc. in rent. Ample off road parking. Enclosed rear lawned garden with furniture. Sorry, no pets and no smoking. Shop 1 mile, pub 10 mins walk..